A winemaker's favorite. 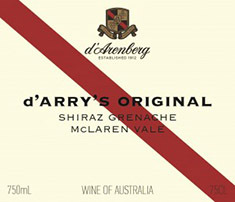 Year in, year out this traditional Shiraz Grenache blend continues to deliver beyond expectation. 2015 is no exception. Dark, earthy Shiraz notes, complimented perfectly by fruit driven, pure Grenache. The palate is equally rewarding. Rich and powerful, but not in an overbearing way. This wine will definitely benefit from decanting whilst young, but don't be afraid to let it age a few years yet in a well-conditioned cellar.